Back in the antediluvian era of broadcast television -- before cable and VCRs and DVDs allowed us to take movies for granted -- every city had its own locally-programmed creature feature show. 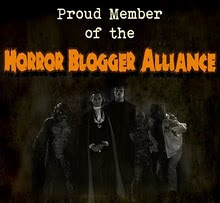 Most of them were on late at night, and many had ghoulish and comical hosts in the Vampira vein; these shows are meticulously documented on Corpse S. Chris' indispensible blog Horror Host Graveyard. But this blog has a narrower focus. It's about only one late night creature feature: Minneapolis station KSTP's Horror, Incorporated. For most of its run, this show had no host. It didn't need one. To me, the movie selections always seemed great, and as a Minnesota kid in the 1970s, it became a big part of my film education. I was introduced to so many movies late at night on channel 5 -- the Universal horror films of the 30s and 40s, the Columbia sci-fi flicks Ray Harryhausen made with Charles Schneer in the 1950s, William Alland's Creature From the Black Lagoon series, the Roger Corman adaptations of Edgar Allan Poe, the poverty-row programmers that Lugosi made on his long slide down. Consider this blog a love letter to that show, to that era of television, and, perhaps just a little, to that time in my life. Of course we can't sit together until 4 am, you and I, and watch the old Horror, Inc. show together, and take in the movies one by one and talk about them. So I've decided to embark on a strange project: I'm going to start right at the beginning of the show, from its first broadcast, and list the movies on the schedule and write about them. Assuming the show ran 10 years in its original incarnation, and was broadcast every week, that means we're talking about 520 installments. So I've got my work cut out for me. This might take a while, and I'm not going to promise it won't hurt. But before we dive in, let's find out where the show began, and learn about the show's fondly-remembered opening. 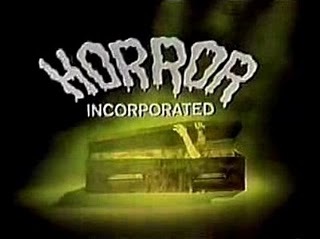 Horror Incorporated probably started in 1969. The first incarnation didn't have a host, but it featured the great voice-over talent of Mr. Jim Wise, who worked at KSTP radio. The person exiting the coffin at the beginning and returning to the grave at the end, was my late friend Warner Smithers, who was then a floor director. Other crew members included Forrest Stanford, who ran the fog machine. "Lurking among the corpses are the body-snatchers, plotting their next venture into the graveyard.... the blood in your veins will run cold, your spine will tingle when you join us for an excursion through Horror Incorporated!" This open and close ran for many a Saturday night in the early '70s. For a couple of seasons in the mid to late 70's, Tom Hamper hosted the show on tape as "Graves." He was supposed to be a "vampire butler" or some such creature. He and a couple of pals acted out little skits between the movie segments. When that format ran out of gas, the station resumed the old "no host" format, until the series went off the air in the late 70's. Hammergren missed some of the dialogue in the opening spiel -- you can hear it in the clip above -- but he is right on the money regarding the year it started. Channel 5 had long broadcast a generic late-late movie on Saturdays, but that ended after the November 2nd, 1969 broadcast of Golden Boy starring William Holden. According to the microfilmed archives of the Minneapolis Tribune, Horror, Inc. premiered the following week, on November 8, 1969. Its first offering was Todd Browning's 1931 Dracula. Graves was the first attempt to add a host to the show. In later iterations there would be other hosts, but we'll get to that, in time. Until then, come along with me, into the chamber of horrors, for an excursion through....Horror, Incorporated! Glad to see Horror Inc. finally getting some love on the web! This show meant alot to me as a kid, yes its about time it got its due! Getting people to this blog is important, need to spread the word! Uncle Mike - Thanks for doing this!!!!! As a 6 year old boy in 1970, I saw my first horror movies on Horror Incorporated. Loved it! Such memories . . .
OH MAN!! I MISS THESE OLD MOVIES!!! I remember sleepovers,popcorn,and HI!!! there was also another horror movie feature,Creature Feature!! Watching that introduction in 1969, then enjoying the Lugosi DRACULA, coffins and vampires, must have been quite exciting coming the week after GOLDEN BOY! Where can these shows be bought? Unfortunately, there are to my knowledge no extant copies of full HORROR INCORPORATED episodes. All we have are the opens and closes (seen above) that were used for the run of the series, and the movies themselves. I have posted information about where the find the movies If anyone has recordings of the show, or knows where to find them, or has any more information about it, please let me know. I lived in St. Michaels as a kid in the 70's. Horror Incorporated memories I will always cherish!! Great site. I watched Horror Inc. all the time as a kid in rural Minnesota. We have Svengoolie (Chicago) on tv out here in Seattle which at least makes me smile and think of the old days. Wasn't there also a show called Dimension 5? I am not familiar with any show called "Dimension 5", either local or syndicated. One station in town (I believe it was Channel 9) had a show called "Creature Feature" but it never seemed to find a niche; it popped up at odd times (Sunday afternoons, etc) never stayed in one time slot very long, and the movie selections were uniformly terrible. There was a movie called "Dimension 5" starring Jeffrey Hunter - it was a spy movie/ science fiction movie hybrid. If anyone recalls a show with that name, please post here. grew up in st. cloud and i was completely mesmerized every sat nite when horro inc. came on. great memories from a simpler time.